Because, let’s be honest: beer is why you’re here. These good ‘ol reliable brews are on tap year-round at the Canteen. An American IPA which citrus and pine notes from additions of Centennial, Cascade and Simcoe hopes. Brewed with a combination of caramel malts and Munich malt for a strong malt balance. Our IPA has won many awards including a gold medal at the World Beer Cup in 1996 and a bronze medal at the GABF. This Czech Pilsner is brewed with German pilsner malts and hopped with Czech Saaz for a floral and herbal note, which finishes clean and crisp. Winner of Silver at the 2016 World Beer Cup. This is a light-bodied American wheat ale with flavors of bread and stonewheat crackers that compliment a subtle hop character of lemongrass on the nose. Flavors of caramel and toast balance with a subtle aroma of citrus in this classic American amber ale. Clean and refreshing, this amber is brewed to be easy to enjoy. A Gold Medal winner at the 2014 Great American Beer Festival. Bread, biscuit, toast, and bittersweet chocolate create a malt character in this brown ale that is full and flavorful, and finishes with notes of caramel. Our brown is the most decorated beer we brew, winning many medals at the GABF and World Beer Cup. This full-bodied stout is rich and robust with flavors of dark roasted coffee and bittersweet chocolate, which finishes with flavors of fig, dates and dried stone fruit. Your favorite Canteen brews come in six packs, 32oz Crowlers, and 64oz growlers. Starting with the citrus and floral aroma of Cascade hops, this American amber ale has a complimenting malt complexity of toffee, nuts and warm bread. Medium bodied to balance the malt and hop character with a dry finish. With an aroma that is bursting with sweet citrus notes of tangerine, grapefruit, and lemon, this India pale ale has a firm bite that gives way to a soft and sweet malt character which finishes with lemongrass and the spice of rind pith for a great balance between hops and malt. Three-time New Mexico IPA Challenge winner. This crisp, light American pilsner is brewed with 100% domestic malts for an authentic American-made flavor. Pairs perfectly with BBQ, horseshoes, fishing and lawn mowing. In fact, this beer is so refreshing you may be tempted to mow your neighbor’s lawn as well! The take-home classic, our 64oz growlers are filled to order with your favorite brew. Can + Growler = Crowler! Smaller than a growler, larger than a standard can. Our custom 32oz Crowlers are filled to order at the tap and sealed before your eyes. 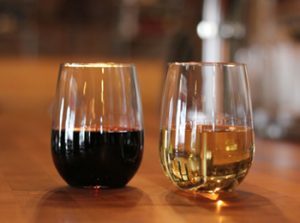 From seasonals to ciders, there’s always something new on tap at the Canteen. Seasonal beer selections vary weekly. Plus, check in to see what’s on the nitro tap this week! 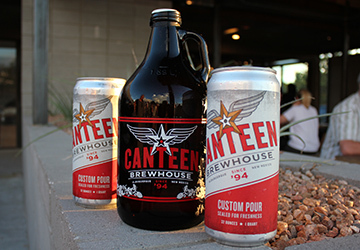 For the non-beer drinker, Canteen Brewhouse serves cider and wine made in New Mexico. Selection varies, please ask your server for details. 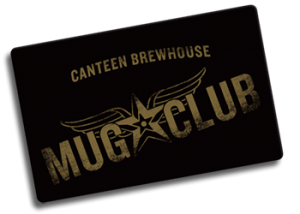 the Mug Club is for you. 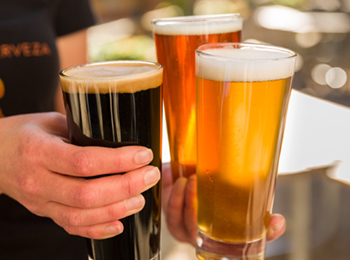 $1 off 16oz and 20oz beers! Member-only discounts on shirts, hats and other swag! We served our first beer in 1994. Folks loved it, and so did we. So we kept brewing. Along the way, we won a wall full of awards, including thirteen Great American Beer Festival medals and a rare European Beer Star. That’s what you get when you believe in beer. Bronze, English-Style Mild Ale: McClellan’s D.M. 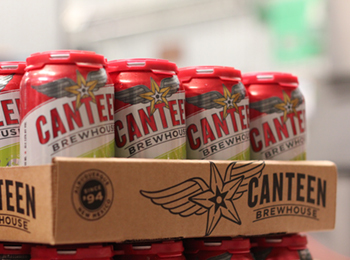 Canteen Brewhouse is one of only eight U.S. breweries to win gold at this prestigious international event!